High quality Mil. Spec. 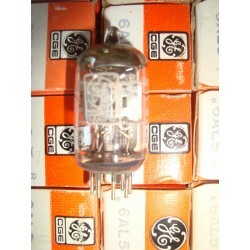 triode pentode tubes manufactured in the United States by Philips. 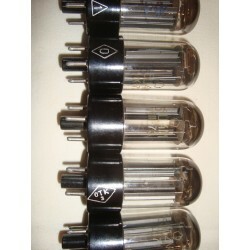 These miniature glass 9 pin JAN amplifier tubes are designed for amplifier and television receiver service. They come with gray plates and top halo getters, and are glass etched 6AZ8 U.S.A. They are printed in green PHILIPS ECG 6AZ8 and coded 34167 USA AAX 8552, indicating 1985 production. Boxes are standard military white NATO coded 5960-00-854-8468 under contract DLA900-85-G-0008-0013.